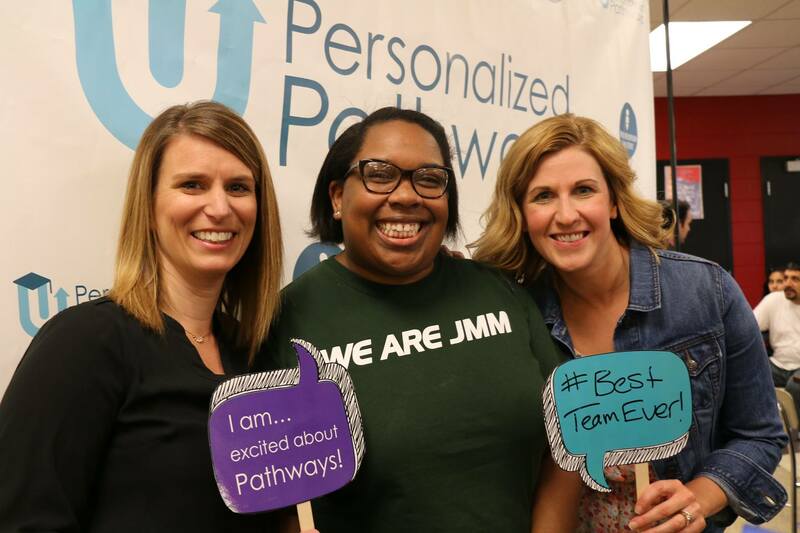 Personalized Pathways are sequences of rigorous interconnected courses and experiences, both within and outside of school, driven by students and their academic and career plans. 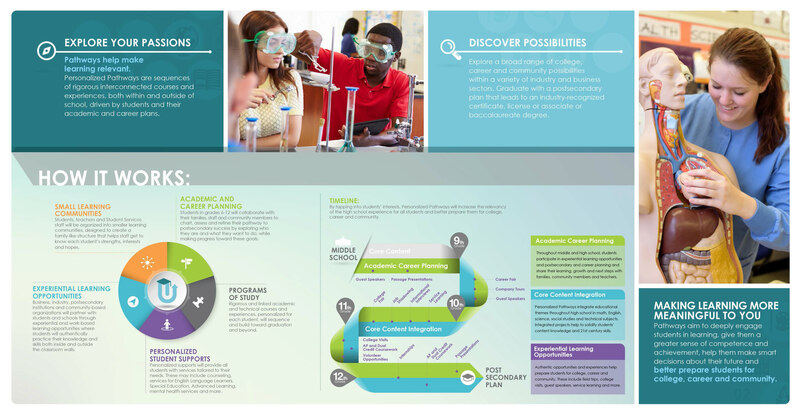 Every student’s pathway will expose them to a wide range of college and career possibilities and will lead to graduation with a post-secondary plan that results in an industry recognized certificate, license, or associate or baccalaureate degree. 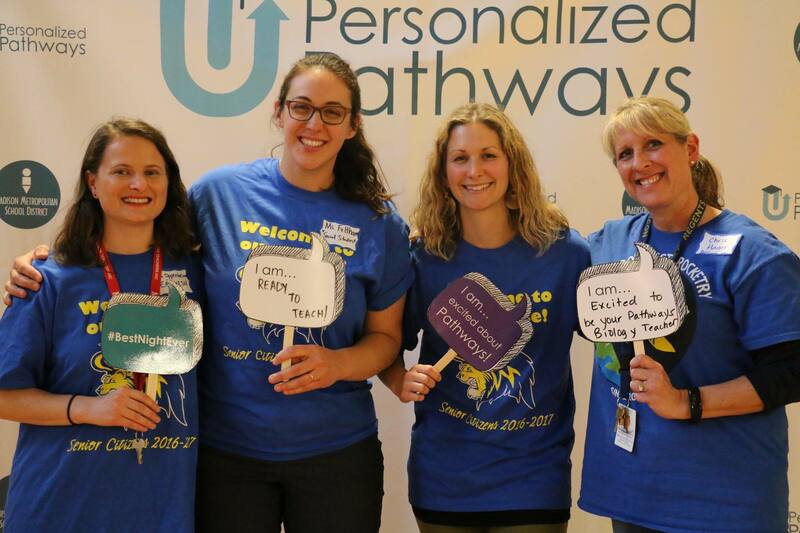 Interested in supporting Personalized Pathways? 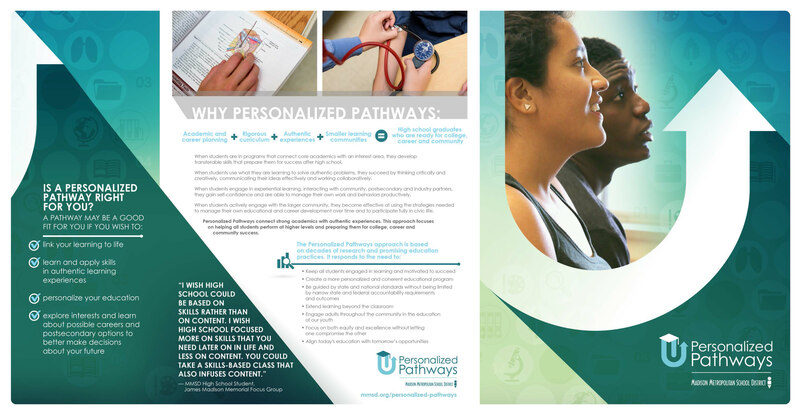 Key components of Personalized Pathways include the following: Academic and Career Planning in which students, with their families and MMSD staff, explore who they are and what they want to do; Small Learning Communities that create a consistent, family-like structure that helps staff get to know students; Programs of Study that link academic and technical course and experiences; Experiential Learning Opportunities in which business, industry, and post-secondary institutions and community-based organizations provide experiential and work-based learning opportunities; and, Personalized Student Supports (e.g., Advanced Learning, English Language acquisition). Along with our critical goals of raising academic achievement and graduation rates for all, we must engage more students in learning and guide our young people in their transition from adolescence into adulthood. After extensive exploration with community members and students, MMSD learned that students need and want more opportunities to explore interests and possible careers earlier, to learn and apply skills in authentic learning experiences where they can feel a sense of competence and achievement, personalize their education, and learn about possible careers and postsecondary options to inform decisions about their future. The first cohort of 518 Madison eighth-graders — including 479 accepted into the available spaces and 39 on a waiting list — began the program’s first designated pathway, in health services, during their freshman years at East, La Follette, Memorial and West high schools in fall 2017. The Pathways students will make up about 28 percent of the incoming freshman class for the 2017-18 school year. More students will have a chance to join additional pathways in subsequent years as they’re developed.